Anyhoo getting answers to my questions helped me gain enough confidence to try paper clay to make a face on a soft bodied doll. I had so much fun! I haven't sculpted since high school and did better than I thought I would. 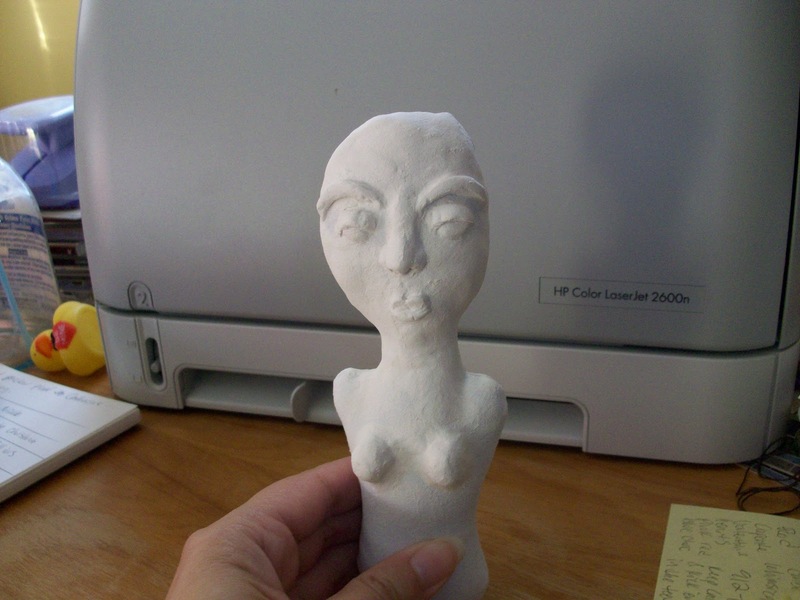 She needs more work and a lot of sanding and is more prim than I've ever done before but I'm going to finish her. My creative juices are flowing again! And yes I FINALLY used the sewing machine! It still hates me so I'll probably end up hand sewing the arms and legs but I did the body successfully! I still have 2 bald and limbless witches to finish so will be blogging more WIPs than I have recently plus Christmas things are on the verge of exploding out of me so get ready! Have you tried something new and different recently? Tell me about it. Don't you just LOVE paper clay? Your doll is looking fabulous already! I can't wait to see your end result!